It's time to have some fun with the coolest cats in town! Join the crew and help them out with some of their favourite activities. 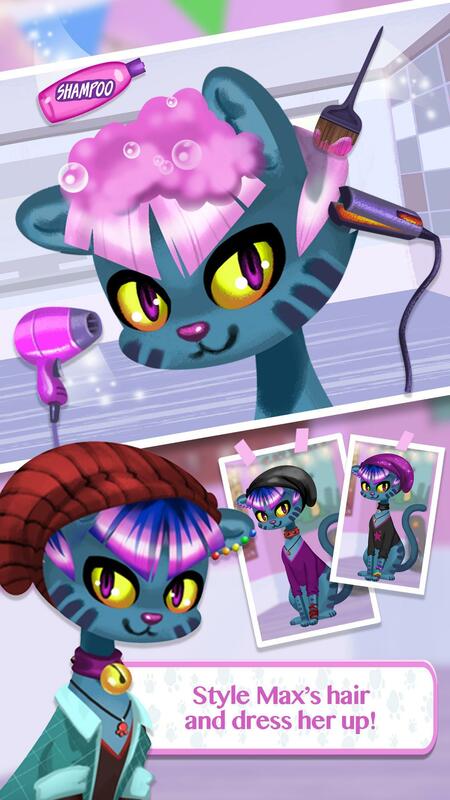 This fashionable feline loves styling and coloring her hair bright, bold colours. 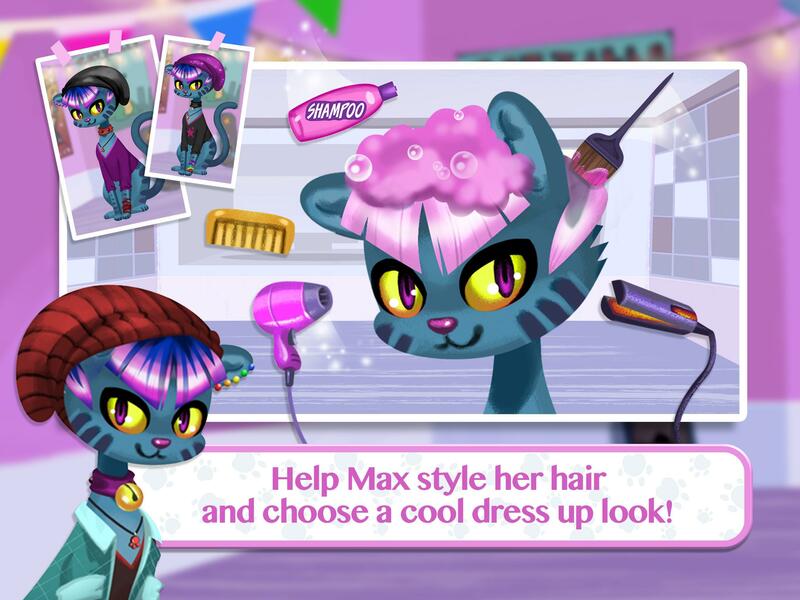 Help her cut and dye her hair before dressing her up with cool clothes and accessories. 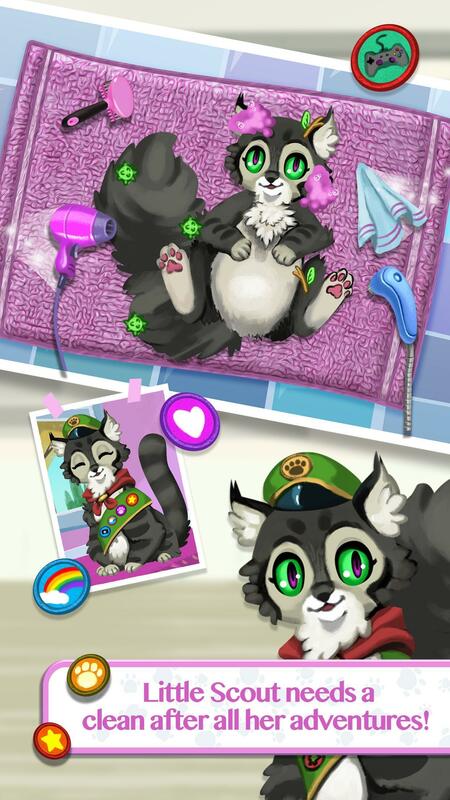 Free spirited Scout is always off on adventures and has the badges to prove it! But all this fun has left her in a mess. Can you help clean and dress her? 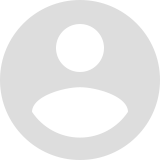 Choose from a range of badges to show off her skills! 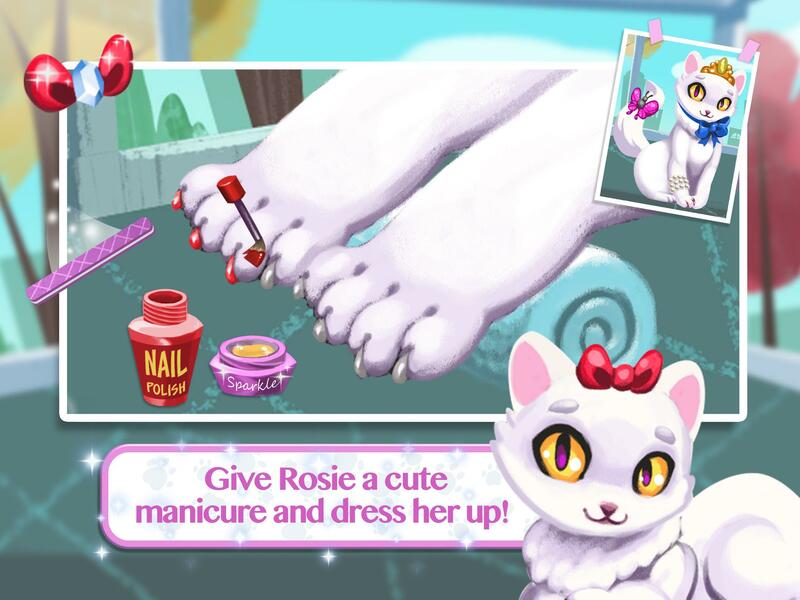 The little lady of the group, Rosie loves looking elegant by taking care of her nails and wearing sparkling accessories. 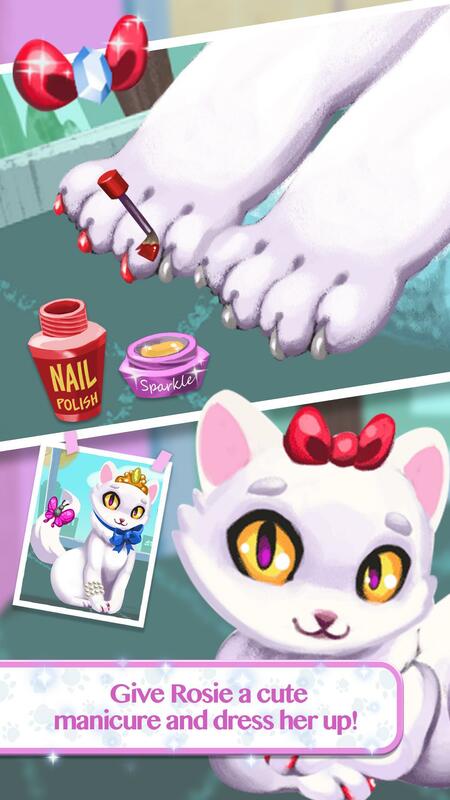 Clip, file and paint her nails before giving her a cute look! This sporty kitty has run into some trouble! 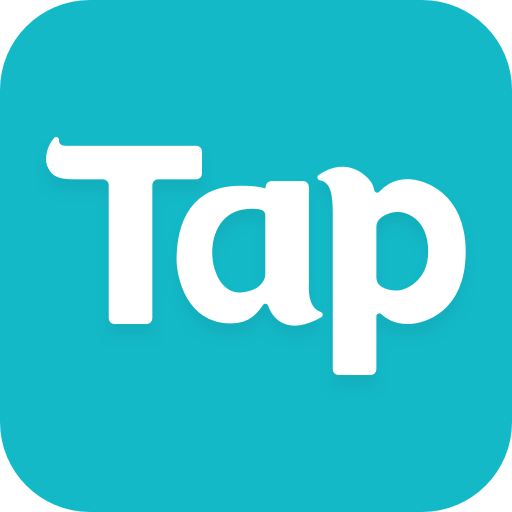 She's hurt her arm whilst playing and now needs your help to mend it. 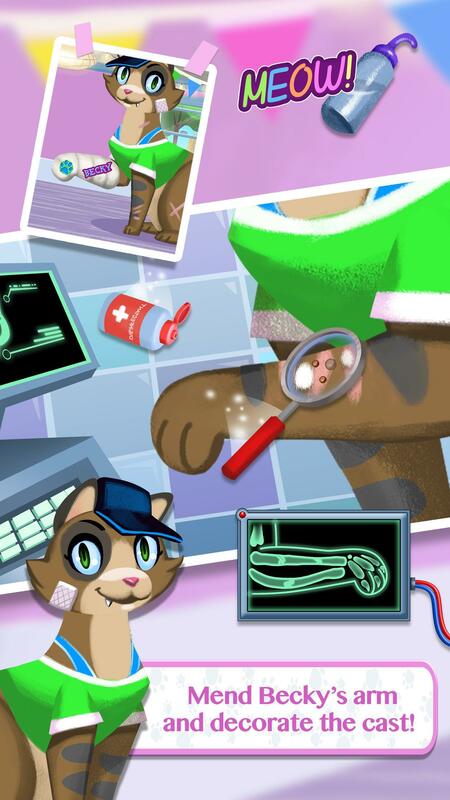 Clean the wound, rebuild the bones and wrap a bandage around her arm to help her get better. Customise the cast with cute stickers. What would a club be without tasty treats? 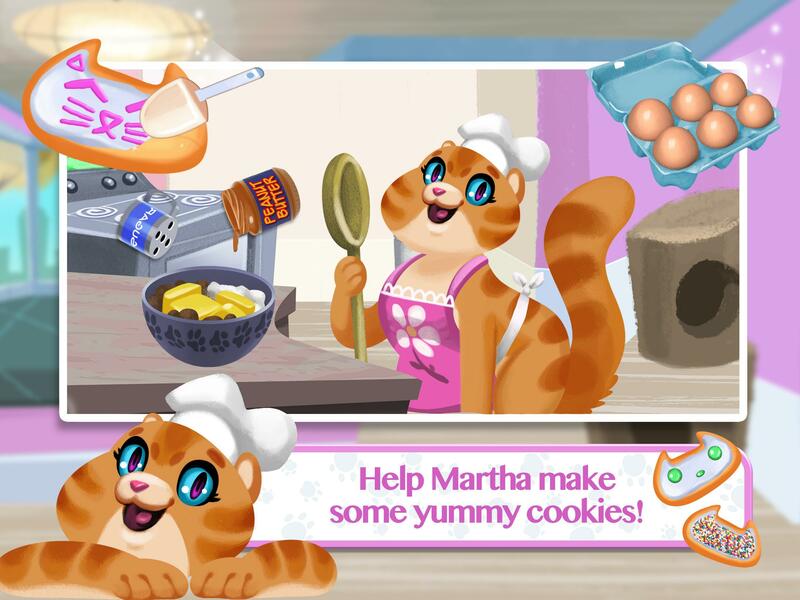 Martha makes the best cookies around and wants you to join her in the kitchen to whip up a fresh batch for the gang. 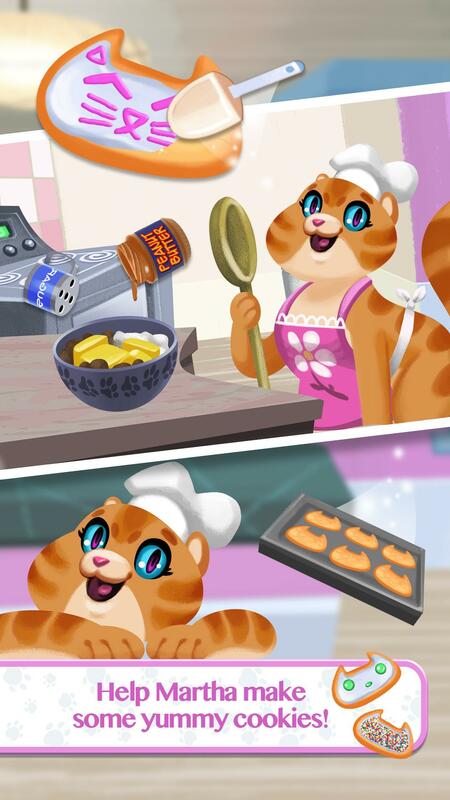 Make the mixture, bake in them oven and decorate the cookies with fun toppings. Have fun with the coolest club around today!